December is a month that really involves a lot of expenses. 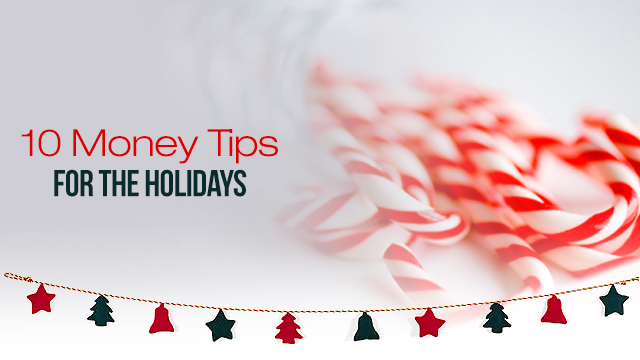 It may seem heavy, but if you allot a certain amount of money each month to prepare for the expenses during the holidays, then you won’t be caught off guard. If you can, set aside a bank account for leisure / holiday expenses and contribute to it monthly. That way, you won’t feel the bulk of expenses during the end of the year. Make a list of all the people in your Christmas list and set a budget for each gift. Then check if the total amount you will be spending is within your budget. Sometimes, you may think that the amount you’ll be spending for each gift is okay but it turns out the total amount is too much. Our family has a spreadsheet of our Christmas list which we update every year. Yes, the bulk of our expenses during the holidays are for presents but there are other things as well. Is your insurance premium due? How about your employees / helpers 13th month pay? Are the kids quarterly tuition due this month as well? Some stores, particularly those with custom-made products, would like to avoid the holiday rush and give discounts for early bulk orders. This will also help you from feeling overwhelmed as you complete your growing Christmas gift list. If you have a knack for cooking and baking, why not give gifts from your own kitchen? Not only will you save, it will be more meaningful, too! The same goes for gift wrappers and gift tags. When attending potluck parties, consider cooking your own dish for sharing for a more personal touch and added savings. Check out online sellers or small businesses near your area. They help you save time and are more flexible in giving you better deals (like discounts for bulk purchases or free shipping). They will surely appreciate the business, too! 7. If you can, pay in cash! I understand, using credit cards can be soooooooo tempting! The malls and credit card companies entice you with their 0% interest and delayed payments. As attractive as it may seem, the bottomline is you still have to pay for it eventually. Personally, I’d rather pay in cash than have my purchases haunt me later. The point is for you to give gifts that you can afford, and being able to afford it means you’re able to pay for it on the spot. For bigger purchases, at the very least, make sure you can pay for the whole amount on your next credit card bill to avoid additional charges. Most big establishments have loyalty cards or rewards programs. Try to check the points you’ve accumulated over the months and use them for your purchases. Another way to have meaningful gifts is to buy products that give proceeds to a beneficiary or directly donate to a charity under your family member or friend’s name. I know of an organization that collects funds so that other families can have their own noche buena. There are times when we receive more than one of the same gift or we get a gift that suits another person better. There’s nothing wrong with having a gift exchanged for something you really need or storing it to be passed on to someone else (just make sure you remember who it came from so you don’t end up returning the gift to the sender – believe me, this can happen!). The money you save, no matter how small, will go a long way. In the same way, in purchasing items that have gift receipts (such as clothes), please don’t do it too early so that it is still under the time frame allowed for exchanges. Hope you’ll find these tips useful. Of course, above all these, keep in mind the true reason behind the season. The best way to spend the Christmas season is with your loved ones celebrating God’s love and being thankful for the year that has passed. Happy Holidays!